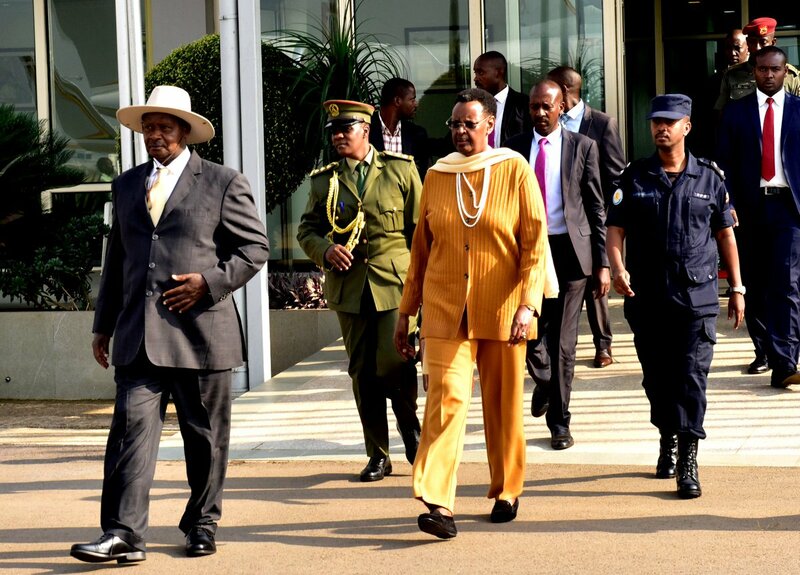 BEIJING – President Yoweri Museveni in a company of the First Lady Janet Museveni have left for Beijing where they are scheduled to attend the Forum on China-Africa Cooperation (FOCAC) Summit. “First Lady Janet Museveni and I have left for Beijing, where we shall attend the Forum on China-Africa Cooperation (FOCAC). The summit’s theme is “China and Africa: Toward an Even Stronger Community with a Shared Future through Win-Win Cooperation,.” Mr Museveni twitted on Saturday morning. Besides the FOCAC Summit, President Museveni is expected to hold bilateral talks with his host, President Xi Jinping focused on trade, infrastructure, investments, education and technology which are common areas of interest for both Uganda and China. Several others presidents and heads of government across Africa are already in or arriving in Capital Beijing for a high-level summit hosted by the Chinese government. FOCAC, summit is a meeting between the two partners and is largely premised on ways to increase diplomatic, economic and bilateral ties. It officially kicks off on September 3 through to September 4. The summit is seen largely as key diplomatic event hosted by China this year and attended by the largest number of foreign leaders to date. African leaders already in Beijing have held different levels of talks with their Chinese counterparts signing deals and also meeting investors. The chairman of the African Union (AU) will be in attendance, and the United Nations (UN) Secretary-General will be the esteemed guest, joined by 27 international and African groups as observers. The interest in the forum is a result of China’s growing influence on the African continent and proves the FOCAC has been pragmatic and efficient, analysts said.